FBCJAX is prepared to throw an incredible Easter celebration this weekend on both of our campuses. We have seven services on two campuses (link) for you, your family, and friends to worship the risen Lord. 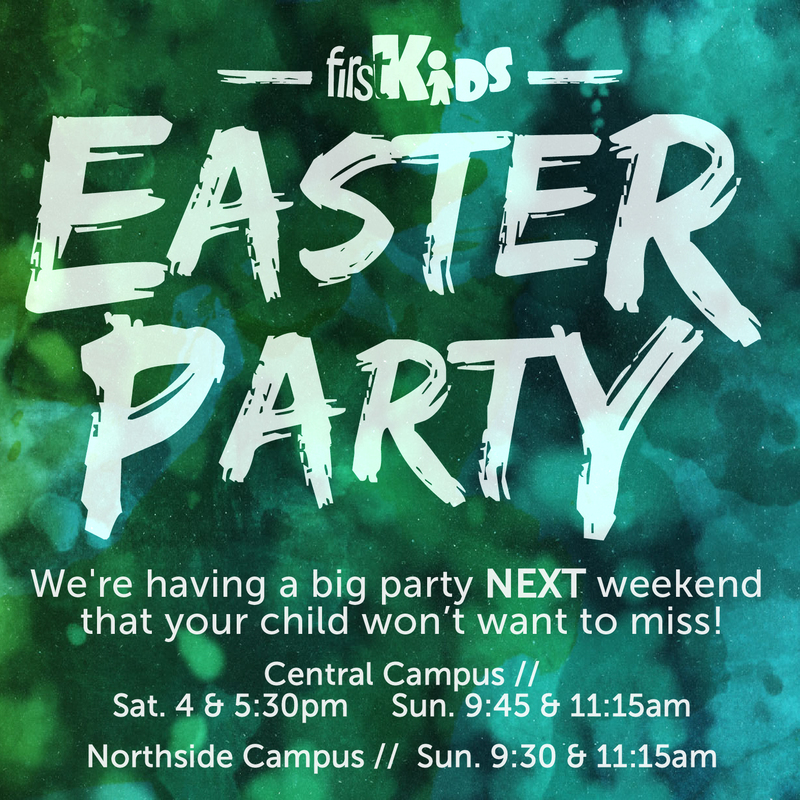 This year our FirstKids ministry is throwing an Easter Party for children (birth – 5th grade) at our Sat. night services, Sunday 9:45 and 11:15 service and both Northside service’s. Here are just a few reasons for why you should leave your kids with our FirstKids environments while your worship this Easter. Fun: Church should be fun and worship should be fun! We are throwing a party to celebrate the resurrection of Jesus that will leave your kids ready to come back next week. Relevant: Your kids will get to experience the incredible resurrection story in their language – in a way that they can relate with and become excited about. We have designed an 1.5 hour service just for them. Filled with games, dancing, worship, small groups and the Gospel. Awesome Leaders: We have the best leaders who are ready to love your children and to point them to Jesus. Over 1,000 kids every week flood our FirstKids ministry eagerly awaiting to see their leader’s. Our leaders help provide a safe environment where children can experience the love of Jesus. Fun: Did I mention that your kids will love church and will look forward to coming back?